Prevent damage to your boat’s fit and finish with a portable water softening system. While cruising long distances or making extended voyages, it can be difficult to maintain consistent access to soft water. Instead, you may find that dockages only have access to hard water, which often contains a large quantity of certain dissolved minerals. While minerals such as calcium and magnesium aren’t harmful to your health, they can lead to inefficiencies and even damage your boat. Luckily for cruisers, portable water softeners can safely and effectively transform hard water through softening methods, saving you both time and money. Although portable water softening systems operate by transforming hard water to soft water, hard water isn’t inherently undesirable. It isn’t harmful to human health, and it can even be beneficial due to its rich mineral content. It also can reduce the solubility of potentially toxic metal ions like those from copper and lead. However, hard water is incompatible with soap, will dry out your skin and hair, and can also damage pipes and plumbing fixtures. Using soft water instead of hard water will prevent scale build-up and residue during a washdown of your boat, preserving both the fit and finish. Hardness in water is usually caused by the presence of calcium and magnesium or other dissolved minerals that become trapped. Certain geographical areas are notorious for hard water issues: the upper Midwest (Minnesota, Iowa and North Dakota), the south-central U.S. (Texas, New Mexico and California) and Florida. Areas with a large amount of limestone combined with well water systems will also experience water hardness. What’s the best way to determine whether your water supply is delivering hard or soft water? One of the easiest ways to determine water hardness is to look at the formation of suds. Hard water produces noticeably less lather when it interacts with soap than does soft water. Furthermore, a white precipitate (usually soap scum) is produced. Another way to measure water hardness is to figure out how many grains per gallon are present in the water by using a pre-packaged kit. WET SPOT (softwetspot.com) offers one that’s exceptionally sensitive and accurate. Keep in mind, however, that due to variances in mineral presence, pH and water temperature, there isn’t a single-number scale used to determine what differentiates hard and soft water. A good rule of thumb to follow is that 3 or fewer grains per gallon is considered slightly hard water, while more than 14 grains per gallon is considered extremely hard water. So now that you’ve confirmed the presence of hard water, what can you do? The first step is to choose a portable water softener. Many portable models are perfect for cruisers due to their ease of installation and slimmer profile. They also work equally as well as commercial or residential water softener systems, with the added bonus of manual recharging, meaning that no electrical hook-ups are required. This makes a portable softener a great addition to your travel kit before leaving the dock. For portable water softeners to work during normal conditioning, the raw, untreated water must enter the system through an inlet at the top of a resin tank. The resin contains sodium, which is used to dilute the concentration of magnesium, calcium and other minerals. The water then seeps down through the resin bed. Scale and hardness are then collected on the ion exchange sites of the resin. The result is quality, conditioned water that leaves your boat spot-free after rinsing by preventing iron staining, scale build-up, soap film, and water spots. 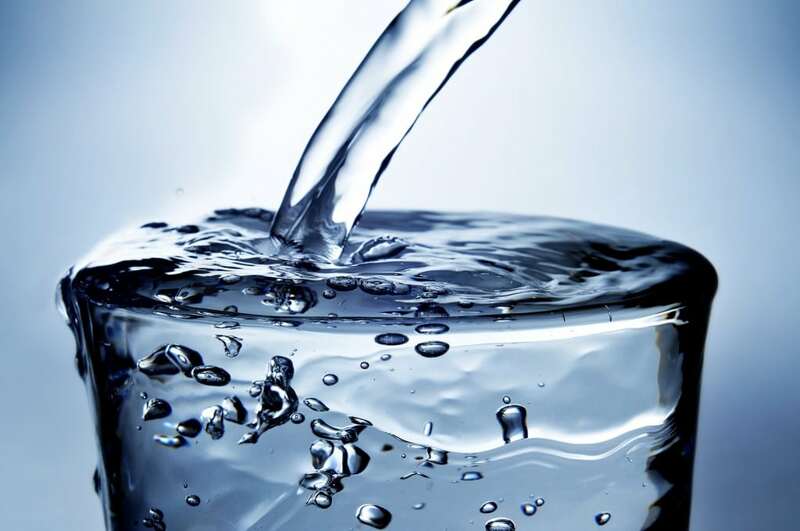 While there are many portable water softening systems on the market, choosing the best one for your vessel and your needs depends on a few factors. The capacity of a portable system is determined by how many grains it can filter. Larger boats will obviously require larger-capacity systems than smaller ones. As an example, WET SPOT builds its models in three varieties: the plus, the heavy duty and the super. Each are built for varying degrees of water hardness and usage rates. Keep in mind that there are some portable water softeners on the market that use table salt instead of the product-specific water softening salt. There are a few advantages built into being able to use table salt tablets for water softening. Because table salt is readily available, it’s easy to acquire at any time. Furthermore, two salt tablets will be able to process around 1,000 gallons of hard water. Make your travels easier and preserve the life of your boat’s finish. Your water will taste and smell better while also improving the lifespan of your appliances and utilities. Don’t get caught away from the dock without this essential cruiser resource, and be ready to enjoy soft water and a spot-free shine every single time.